"I will never forget saving up my money from gardening and mowing lawns at age 13 to buy a Shure 57 microphone so the lead singer in the band I was playing in had a cool mic to sing into. I had my parents bring me to Manny's Music in NYC to buy that mic. That was an unforgettable and amazing experience." 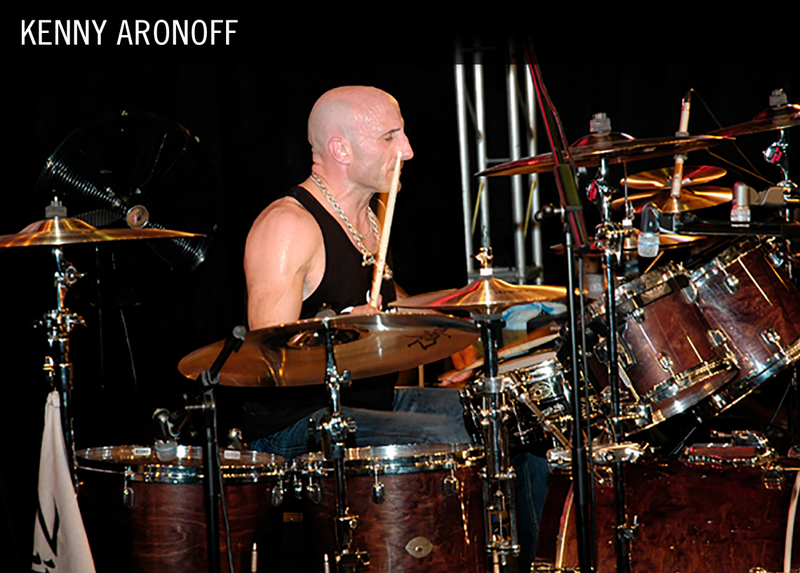 Kenny Aronoff is one of the world's most influential and in-demand drummers. He has toured and/or recorded with such artists as The Smashing Pumpkins, Puddle of Mudd, Bob Seger, John Mellencamp, Melissa Etheridge, Jon Bon Jovi, Elton John, Bob Dylan, Rod Stewart, Alanis Morissette, The Rolling Stones, Lynyrd Skynyrd, Avril Lavigne, John Fogerty, Joe Cocker, Mick Jagger, Alice Cooper, Meat Loaf, Willie Nelson, Waylon Jennings, Bonnie Raitt, Ricky Martin, Santana, Trey Anastasio, Michelle Branch, and many others. He has played on hundreds of records including over 30 Grammy-nominated recordings and has toured and performed live all over the world. From 1993–97 he was Associate Professor of Percussion at Indiana University.